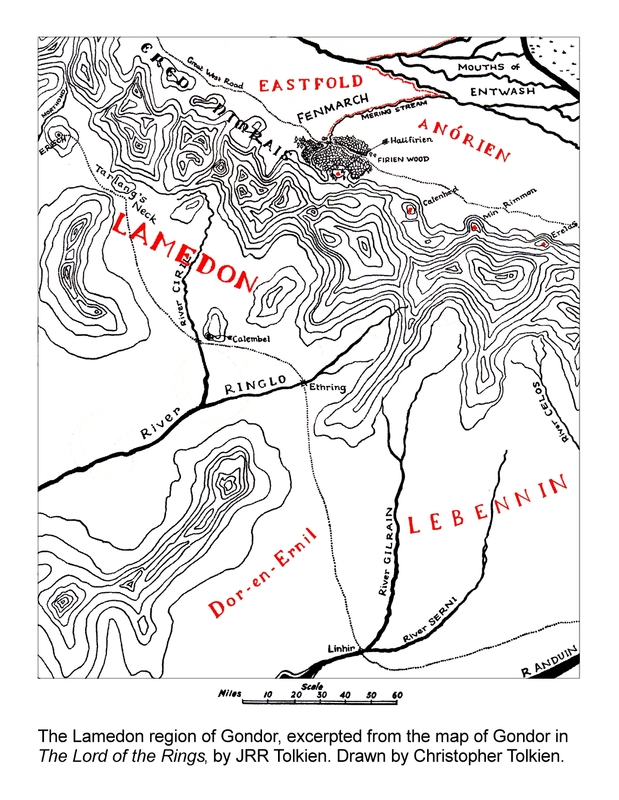 Location: A region of Gondor south of the White Mountains, between Tarlang's Neck on the west and the River Gilrain on the east. 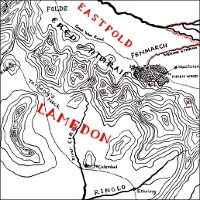 The Lamedon region of Gondor. They passed Tarlang's Neck and came into Lamedon; and the Shadow Host pressed behind and fear went on before them, until they came to Calembel upon Ciril, and the sun went down like blood behind Pinnath Gelin away in the West behind them. And so the companies came and... passed through the Gate, men of the Outlands marching to defend the City of Gondor in a dark hour; but always too few.... From Lamedon, a few grim hillmen without a captain.